Having your teeth whitened can produce some pretty great results. Everyone wants to have a whiter smile as it helps boosts confidence! However, some people may not be 100% aware of what the basics are regarding teeth whitening. If and when people decide that they need their teeth whitened, it can be important to know all of the information in order to produce the best results and do it safely. In this article, we will go over the basics of teeth whitening so that anyone who is considering brightening their smile can be prepared. Read more below! Whitening your teeth can be done in a few different ways and first and foremost we will discuss the two main ways to brighten those teeth. One of the most effective ways to whiten the teeth is to visit a dentist. An important basic fact to know regarding teeth whitening is that in-office professional whitening treatments are said to be more effective than any other type of treatment. 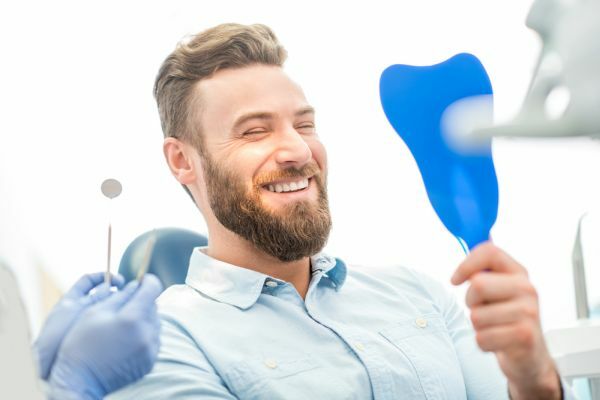 Because dentists have access to high-quality whitening products and professional equipment, they are able to produce better results for a person’s teeth. Having your teeth whitened in a dentist’s office will also ensure safety, as these products can be harmful if they’re used too frequently. Whitening your teeth on your own can be done as well. However, the results are usually not as great but they can still produce whiter teeth over time. The most common type of at-home whitening treatment is that of whitening strips. These are typically used once or twice a day for a few weeks. Dental whitening strips are placed over the surface of the teeth for a few minutes and the agents within them will strips stains off of the teeth. Whitening kinds of toothpaste and mouthwashes also exist to help a person strip their teeth of stains. These can also be bought at the store so that a person can use them regularly over time. Again, toothpaste and mouthwash won’t necessarily produce overnight results but with time, they can help a person remove stains from their teeth. When it comes to whitening the teeth, it’s important that a person understands the risks too. Sometimes over-whitening can strip the enamel so much so that sensitivity occurs. If a person feels discomfort from hot or cold foods and beverages, it is likely that they need to pause on their whitening treatments. A dentist can also suggest products to help reduce sensitivity. Having patience when it comes to whitening treatments is also important. With professional whitening, a person can likely expect immediate results but they may not be 100% what they want. A few treatments may be required to reach the desired shade. With at-home whitening products, it is important that a person understands that their results won’t be as sudden as with professional whitening. It takes multiple treatments to notice the difference. Patience is important when it comes to teeth whitening. Whitening your teeth can produce great results! However, it is important to understand the basics in order to know what you’re getting yourself into. It’s always good to talk with a dental professional in order to be safe and efficient. If you have more questions then reach out to our office today so that we can help you. Give us a call or stop in today! Are you considering whitening your teeth in the Tavares area? Get more (insert keyword) information at https://lifetimedental.us.